SheChange will be a feature length documentary film about the fight for gender equity in the sport of big wave surfing. showing that pushing the limits of human ability, and seeking high-risk outdoor adventure are no longer the purview of men alone. outrigger and big wave surf pioneer Andrea Möller and the original big wave warrior, former WCT star Keala Kennelly. Dynamically shot in 4K from land, water,and air, SheChange will thrill audiences with the beauty and awe of surfing these rarely-filmed beasts, and will give intimate access into the lives and minds of these women in and out of the water as they prepare for, and charge into the unknown. We need your support to make it happen! We are raising $365,000 to complete production by December 31, 2018. 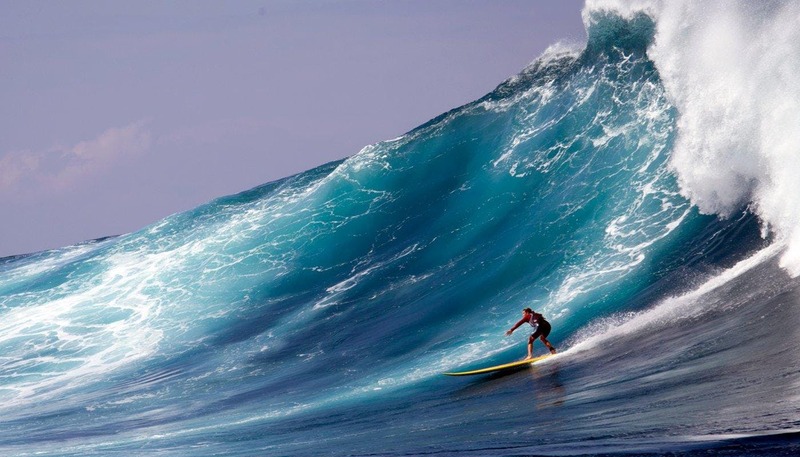 Support SheChange to document this monumental point in women's big wave history! And follow along with us on the SheChange journey on FB!